I was lately adding some help content to the create/edit form pages of an internal (dev team) change manager application. This is how i did it, discussing some aspects of the design approach as well as the actual execution with apex 3.x (I’m still with apex 3.2, since this version is quite sufficient for an internal app). Providing on page help for form pages is usually a game like this: some input field may be called “Creation date” and the help text goes as “This is the creation date”. Wow, this is what the world needs to know! I more or less get angry or better ignorant seeing this information garbage but that’s another story. I prefer on page help content that provides page context information, just pointing out dedicated input fields only when necessary. In fact, apex puts both approaches at your disposal. 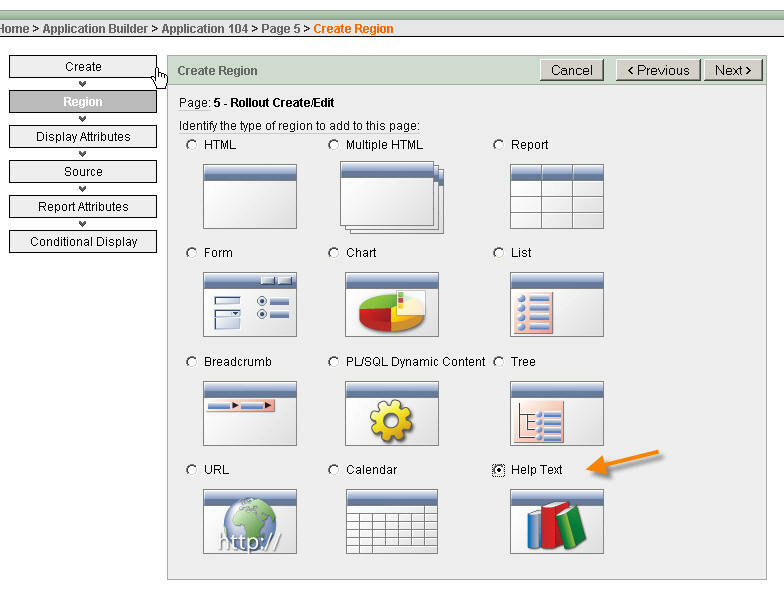 The key element with apex is the help text region that you may add with the create region dialogue on a page. Configuring the wizard for the region, I choosed to have a hide and show region for the template and the page template body #1 for the display point. This will put an initially hidden content area just on top of the form. You may go now and enter help text content both for the page and for the several input fields of the form as shown below. 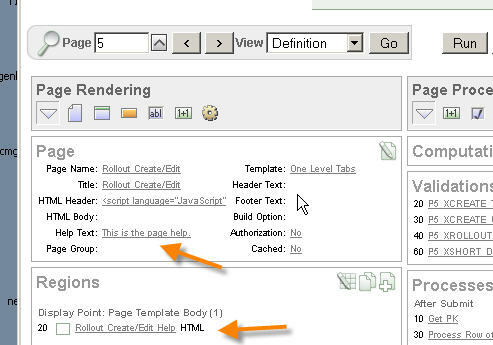 This results in having both the page and the input fields help being unfolded. However, I did’nt enter any text for the input fields as explained above such that the final (unfolded) view looks as follows.